Saturday, Temple Nightclub brings San Francisco a dance party for the books. 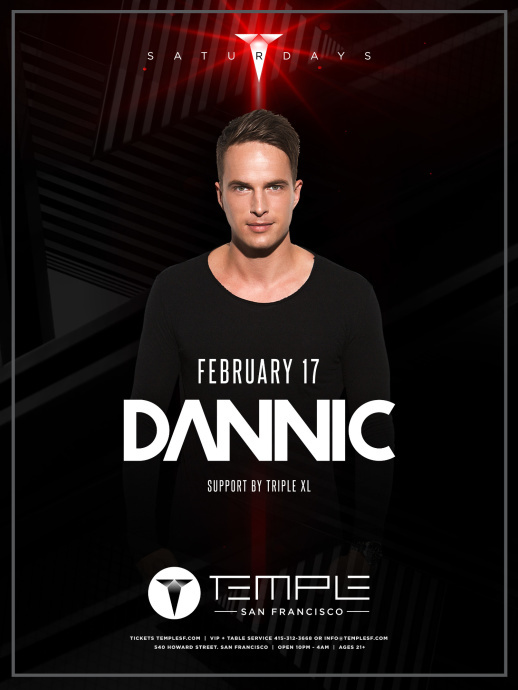 Dannic, the prodigious DJ and producer from Breda in the Netherlands – the hometown of Tiësto and Hardwell - is one of the fiercest acts to emerge from the latest generation of Dutch artists, cementing himself as a go-to name that delivers within the world of big-room, grooving house. Bursting onto the scene with a DJ Mag Top 100 DJs Poll placing 4 years in a row as of 2016, it's confirmed to tastemakers that Dannic is a driving force within the scene. 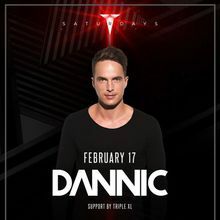 From his debut releases on world-class labels including Toolroom and a longstanding relationship with Hardwell's Revealed Recordings, Dannic's constant output of dance floor-ready bangers and groove-laden productions continues to excite across live shows globally. Don't miss him on his stop in San Francisco!